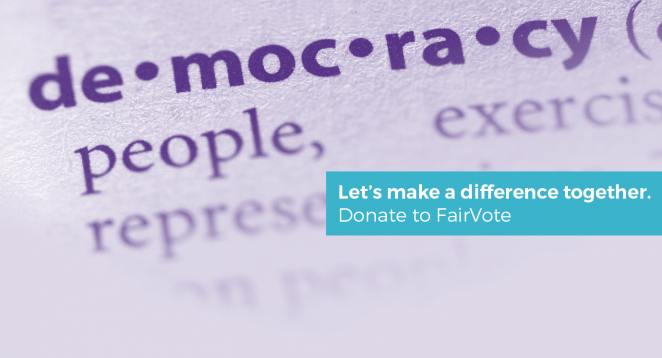 Our Mission: FairVote advances systemic electoral reform to achieve a fully participatory and truly representative democracy that respects every vote and every voice in every election. We work toward these goals by providing advocates with innovative research and reform strategy. 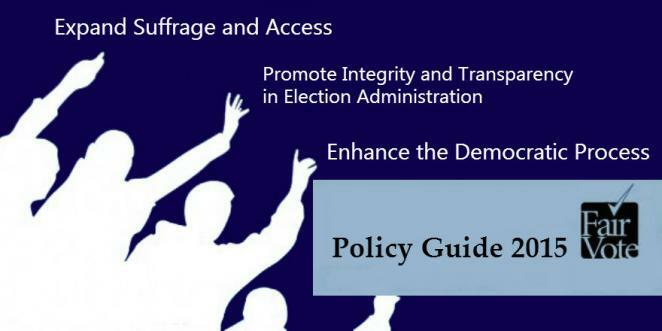 We promote ranked choice voting (“instant runoff”), a constitutionally protected right to vote, a national popular vote for president, and, most fundamentally, fair representation voting forms of proportional representation. Louisiana's innovative election system lacks true competition in practice, with most incumbents largely unopposed and unaccountable to voters. The Bayou State could promote the goals of majoritarian outcomes and real voter choice if it consolidated both elections with the use of ranked choice voting. This year on Election Day in towns, cities, and counties across Pennsylvania and Connecticut minority parties earned representation thanks to fair representation voting methods. The use of "limited voting" in these places, which has been in place for decades, continues to ensure more political diversity than we see in most American cities today. New Jersey’s 2015 state election is striking for the predictive power of partisanship and the proportion of voters who are locked out of representation by a state legislator of their preferred political party. Under multi-winner RCV, most New Jerseyans would be able to cast a meaningful vote for a candidate of choice in the General Assembly and few voters would be trapped in a district without a representative from their preferred party. 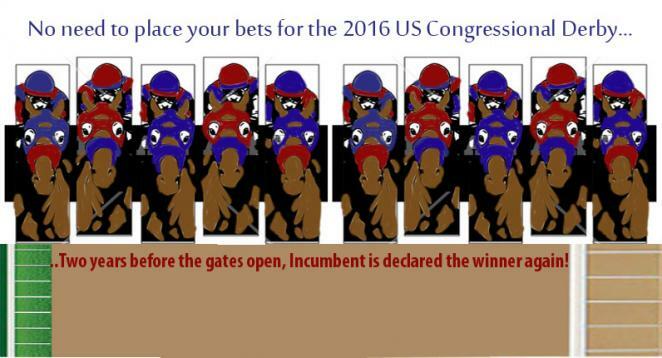 Election Day, 2015 has come and gone, with new lessons to learn. Six municipalities held ranked choice voting elections for city offices, giving voters greater choices and stronger winners. Highlights include the defeat of incumbents in San Francisco, positive campaigns in Saint Paul, and more accurate representation of those who want change in Cambridge, Massachusetts. Louisiana also used ranked choice voting ballots for its qualified overseas voters, ensuring that they could participate in both rounds of its state elections, even though there wasn't time to mail and return a new ballot. State legislative elections took place in Virginia, where their overwhelmingly uncompetitive districts further demonstrated the power of partisanship in winner-take-all districts, even in an odd-year election. State elections also took place in Louisiana, though the overwhelming majority of its state legislative seats were chosen in its first round of election in October, with most of the November runoffs featuring two members of the same political party facing off against each other. New Jersey's state legislative elections also demonstrate how strong a force partisanship can be, though it's use of multi-winner districts did encourage more competition. New Jersey is one of ten states electing state legislative seats in multi-winner districts. In debating options for reforming presidential elections in the United States, the most promising alternative to the status quo is the National Popular Vote Interstate Compact (NPV). But even though we use popular vote elections to select every member of Congress and all 50 governors, some NPV skeptics warn that its adoption would have a partisan impact on presidential elections. They fear that Democrats could increase their national vote totals by focusing resources on major metropolitan areas, while Republicans could achieve similar gains only by spreading their resources across more geographically dispersed, non-urban areas. This report challenges this argument in three ways. 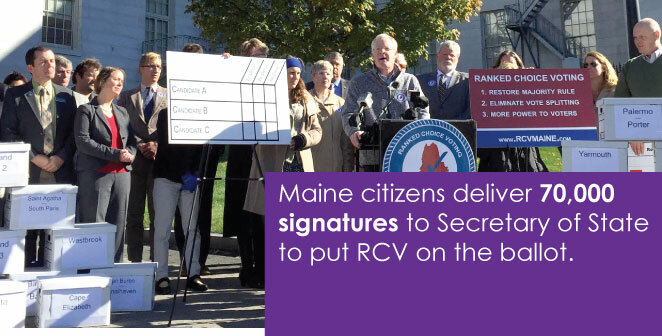 An interview with Mayor Mike Brennan of Portland, Maine on how ranked choice voting influenced how he campaigned and how he governs. Legal fellow Drew Spencer interviews Jerome Gray about his career fighting for voting rights and fair voting in Alabama. A history of FairVote and what it does: In this special two-part episode, Drew Spencer interviews FairVote Executive Director Rob Richie about FairVote's history, reforms, and projects. Click here for archives of prior episodes, or click here to access our page on the iTunes store. For more FairVote videos, visit our YouTube channel. Watch our Reform 2020 video about FairVote's vision for a democracy that truly represents American diversity. See Elizabeth Glidden discuss her Minneapolis' experience with ranked choice voting.